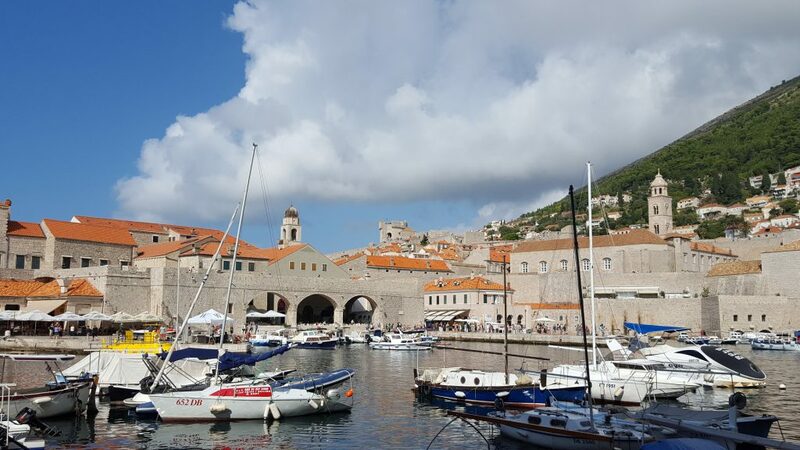 This time our stay in Dubrovnik was rather short! Even shorter than in Split. 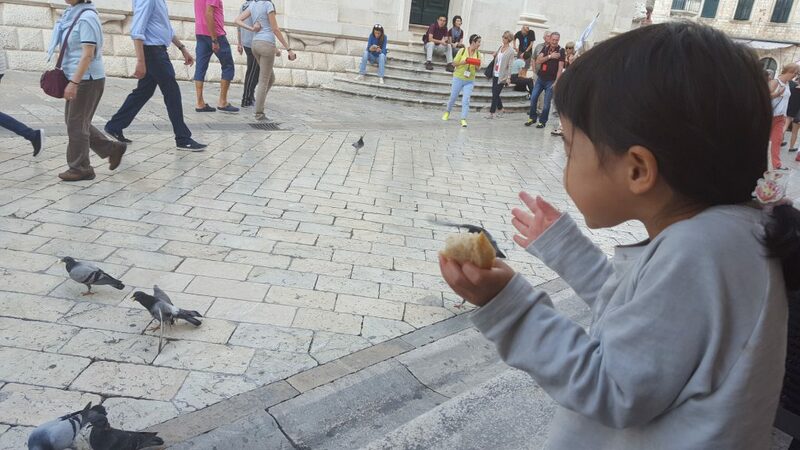 (see the post 18 hours in Split, Croatia). After sleep etc., we ended up with only 3-4 hours. 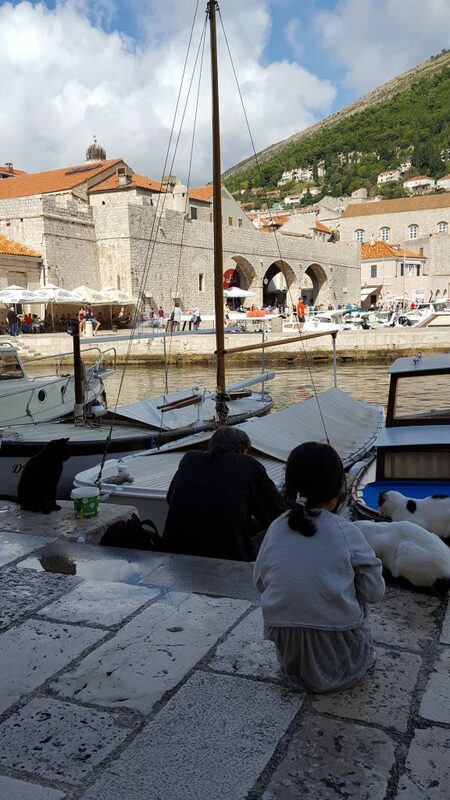 I always love Dubrovnik, its beauty sometimes seems unreal for me. If you take too much crowds out of the equation, I would say I would want to live there. Ok, that’s what we did and recommend for super short stay. 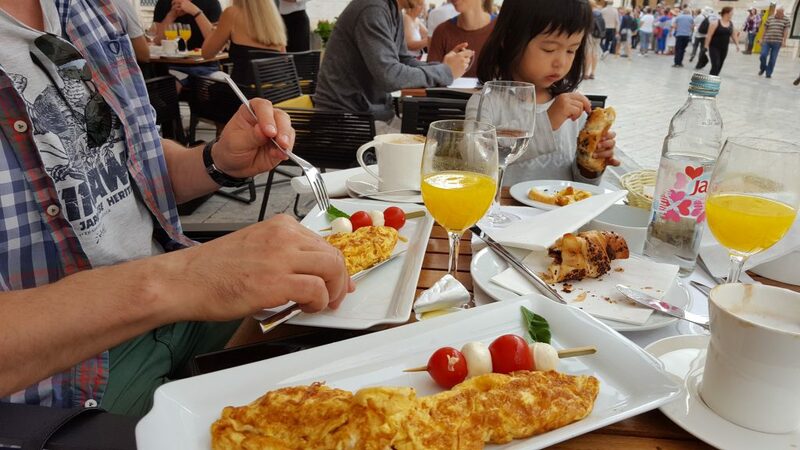 We sat at the same restaurant – Gradska Kavana Arsenal as last time and enjoyed a very nice & value-for-money breakfast. We regard this place as the best position in the old town. It’s not tucked in the tiny lane, but open air, just right off the main street, you can see almost everyone passing. 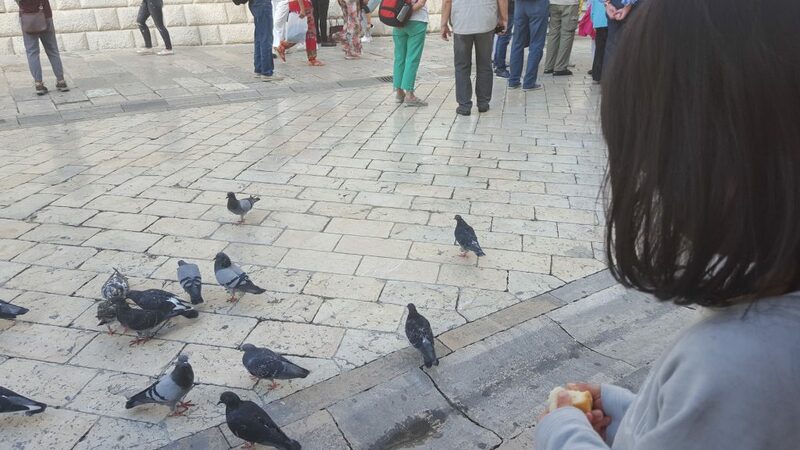 And our little daughter had a fab time feeding the pigeons! I believe the birds too. 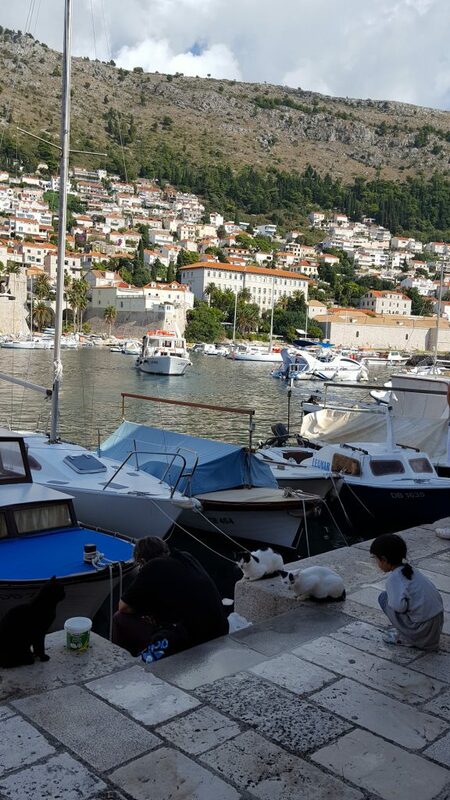 🙂 If you would like to see the city harbor, go to the other side of the restaurant, the backdrop is priceless. The view is amazing as usual. Just 1o mins walk around, and if you have time, sit there do nothing, think nothing, I guess it’s great time spent. You don’t need to plan too much, just strolling around the old city, stopping by the dotted small cute shops was enough pleasure thing to do. I remember last time we were seeing so many cats around. By the fisher man, waiting for the small fish that human don’t appreciate; by the restaurants, waiting for the kind food that eaters offer. I fed some white bait to a cute little guy last time, was a great fun. We would like Zoey to feed some cat too. However this time, there were not too many, but she still got a moment with some. It was sunny day, we could not leave the town without ice cream. So we bought one scope each and sat by the gorgeous Onophrian Fountain, relaxing before jumping back to the car for our next destination. 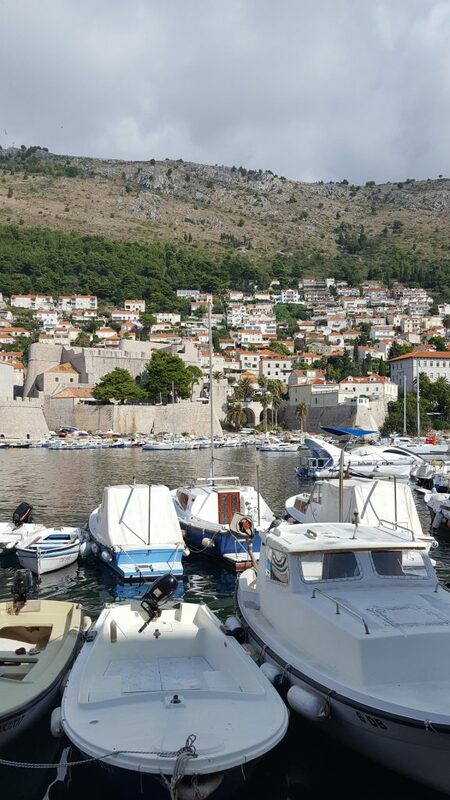 Great time again in Dubrovnik, you never disappoints! We will be back!